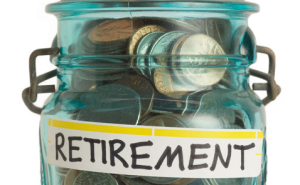 After retirement, most people find themselves on a tight budget. They no longer have a strong income and must rely on whatever they have earned through their 401k plan or have saved up over the years. This can make it difficult to organize your finances so that you can pay for everything that you need. Here are some ideas to help you get started. You need to figure out your budget so that you can know exactly how much you will have to spend over the years. Most people figure out how much they have, figuring that they will live up to 90 years old. This is a good number to adjust to. Break down your savings into years, and then further break it down into months to figure out how much you have available to you. If you have social security or other forms of monthly income still, don’t forget to add those in. You should always start by figuring out how much your bills are going to cost you. These are necessities that you can’t really avoid. You can, however, attempt to reduce these. If possible, see where you can cut costs so that you aren’t spending so much each month if you are running into financial trouble. For example, someone who never watches television could cut off that bill and save quite a bit of money each month. Almost everyone has security deposits and other forms of payments that were meant to be returned to them, but they never picked them up. Some people literally have thousands of dollars sitting around at old apartments and in areas that they have lived in. Collect this money to add a bit extra to your savings, otherwise it will just go to the government after you become deceased anyways. You should ensure that your credit score remains in good standing. This will allow you to get a loan if needed or move somewhere that requires credit checks. You can learn more about this at . Most people should have a will once they are past the age of 60. You need to decide where all your wealth will be sent after you pass away. Most people will choose to send it off to relatives or close friends, or maybe even a spouse that has outlived them. If you don’t, the government is able to just collect this money and it doesn’t get spread to the people that you care about. Take a short amount of time to get this done, it’s worth it.